The US Democrats have taken control of the House of Representatives in the mid-term elections, dealing a blow to President Donald Trump. They rode a wave of dissatisfaction with Trump to win the lower chamber of Congress for the first time in eight years. Tuesday's vote was seen as a referendum on a polarising president, even though he is not up for re-election till 2020, reported BBC. Democrats converted the energy of the liberal anti-Trump resistance into solid electoral gains in the first nationwide vote since the president swept to power two years ago. 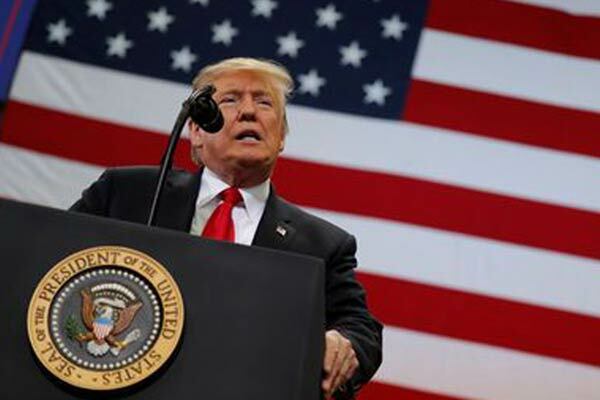 In midterm elections two years after he won the White House, Trump and his fellow Republicans expanded their majority in the US Senate following a divisive campaign marked by fierce clashes over race, immigration and other cultural issues, reported Reuters. House Democrats could be banking on launching an investigation using the results of US Special Counsel Robert Mueller’s already 18-month-old probe of allegations of Russian interference on Trump’s behalf in the 2016 presidential election. Moscow denies meddling and Trump denies any collusion, said the Reuters report. The BBC's US partner network CBS projects the Democrats will win the 23 seats they need to take over the lower chamber of Congress. Americans voted for all 435 seats in the House. “There’s only been 5 times in the last 105 years that an incumbent President has won seats in the Senate in the off year election. Mr. Trump has magic about him. This guy has magic coming out of his ears. He is an astonishing vote getter & campaigner. The Republicans are.........," said the tweet. Despite the tight poll race, most Democratic candidates stayed away from harsh criticism of Trump during the campaign’s final stretch, focusing instead on bread-and-butter issues like maintaining insurance protections for people with pre-existing medical conditions and safeguarding the Social Security retirement and Medicare healthcare programs for senior citizens. n the last two decades there have only three election cycles where one party picked up 24 or more seats. Tuesday’s gains were the biggest since 2010, when a wave of conservative anger against Democratic President Barack Obama gave Republicans a massive 64-seat pickup.